Make it in the United States or face a big border tax. That's President Trump's warning to companies if they move jobs to Mexico. It also echoes a policy Argentina tried before that didn't work out so well. In 2011, Argentina's then president Christina Fernandez de Kirchner imposed a 35% tariff on imported cell phones, computers and tablets. It was meant to protect manufacturing workers. Some companies like Blackberry (BBRY) did move jobs to Argentina; others such as Apple (AAPL) passed. As a result, Argentina became one of the most expensive places in the world to buy iPhones and iPads. Phone stores stopped selling them -- they could only be bought from online vendors or the unofficial, black market. To dodge the tariffs and sky high prices, many Argentines traveled to nearby Chile, or even as far as the United States, to buy Apple products. Six years later, Argentina is killing off the policy. President Mauricio Macri's government eliminated the 35% tariff on computers and tablets on Sunday. Many expect tariffs on imported cell phones will also soon be torn up by the business-friendly government. 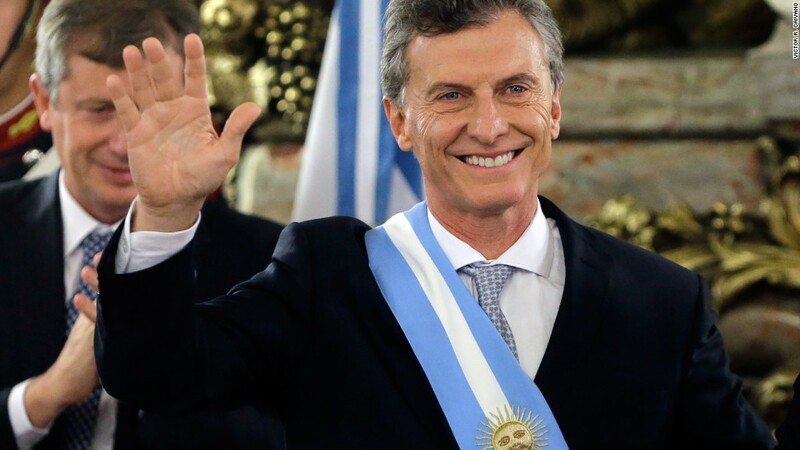 "Protectionism, isolationism, the last 30 years -- the only [achievement] was consolidating poverty," Macri told CNN in an interview Thursday in Buenos Aires. On Friday, phone stores in Argentina will legally sell iPhones for the first time since 2011. Argentina's experience serves as a cautionary tale. The country chose between the desires of millions of consumers and protecting a group of workers that needed tariffs to keep their jobs. Someone had to lose. The country is just emerging from a recession, partly caused by trade policies that caused prices to skyrocket. "Protectionism leads to nowhere," says Daniel Artana, chief economist at the Latin American Economic Research Institute. "It's part of the reason why we're not a success story." An iPhone 7 Plus goes for just under $1,400 these days, according to Mercado Libre, the eBay of Argentina. The same iPhone in the U.S. sells for $869. The difference reflects many factors but tariffs account for a big chunk. The U.S. and Argentina are very different economies and tariffs are unlikely to play out in exactly the same way. Argentina is one of the most closed economies in the world to trade; America is one of the most open. But experts say the bottom line is the same everywhere: Prices go up and consumers get hurt. Employers in Argentina say it's time for a change. Removing tariffs "is very positive. We need to be open to the world," says Guillermo Brinkmann, managing director at SAP (SAP) for Latin America and the Caribbean. Argentina's move to free up trade comes as Trump meets with China's President Xi Jinping in Florida. Trump wants to reduce the U.S. trade deficit with China and has threatened tariffs in the past. Trump has also made reworking trade with Mexico a top priority. With a cloud of uncertainty hanging over U.S.-Mexico relations, Macri has a message for Mexico: Turn to us. "That is a great opportunity to turn around and look a bit more to South America," Macri told CNN. "This shows that it's better to keep and to deepen relationships with many other countries."